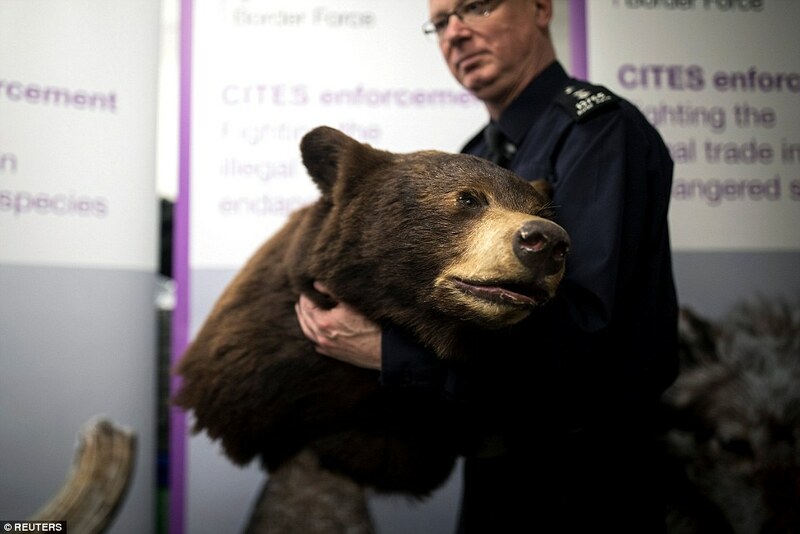 Shocking pictures taken at Heathrow Airport highlight that trade in illegal wildlife products is thriving. 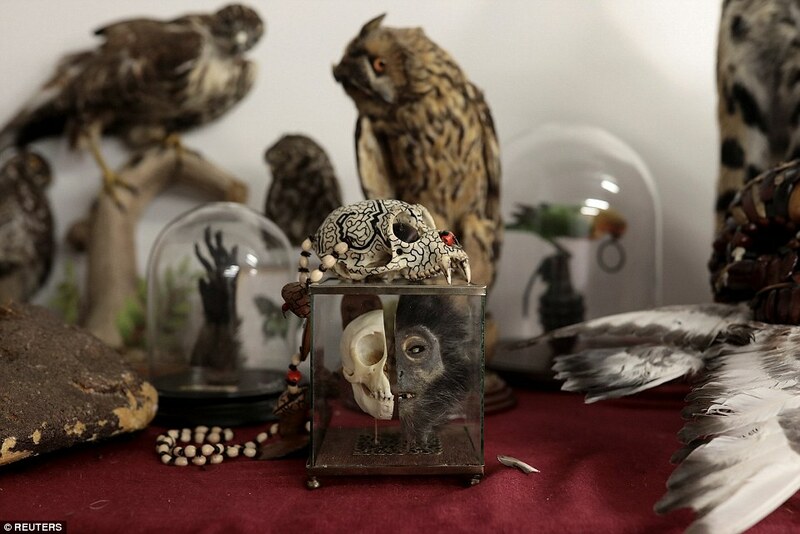 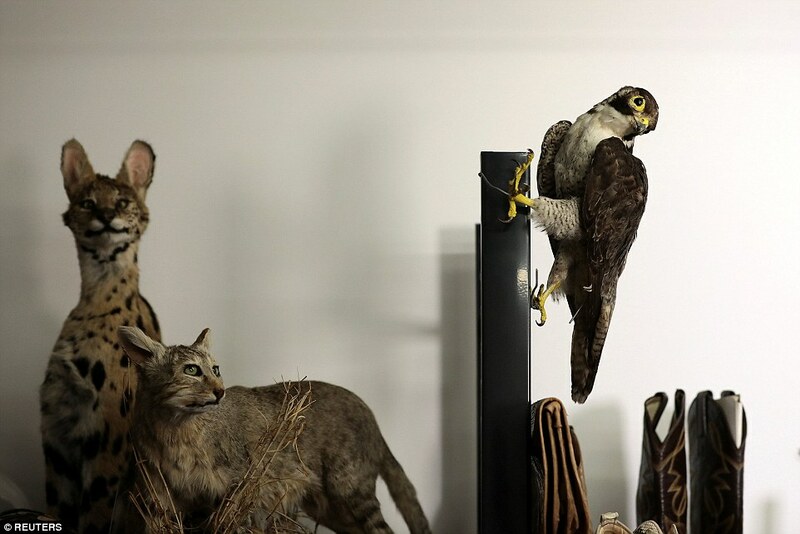 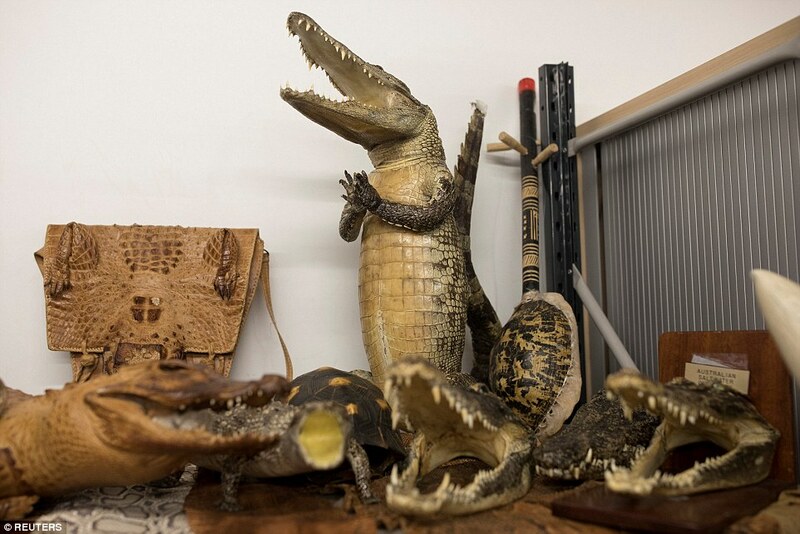 The images, taken at the airport's evidence lock-up, show a menagerie of confiscated animal contraband. 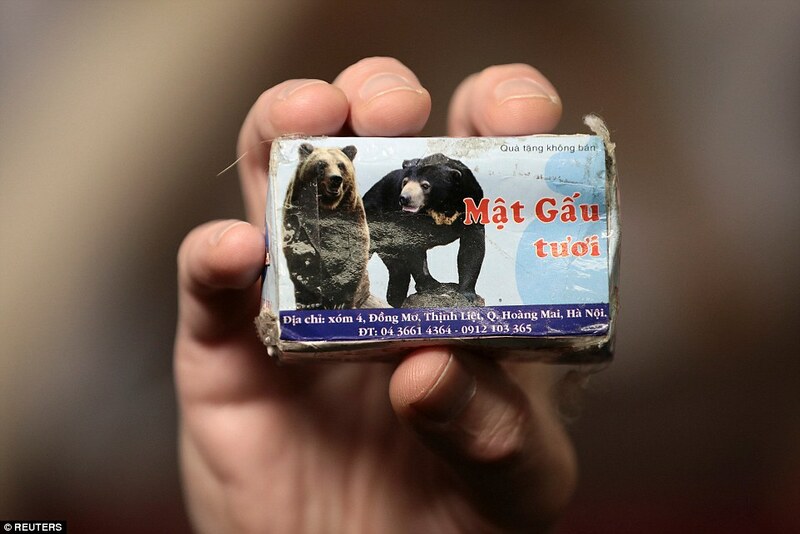 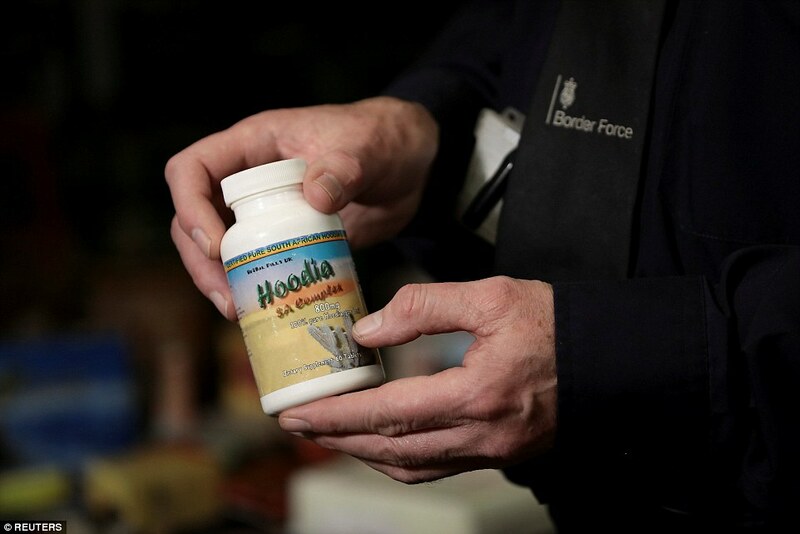 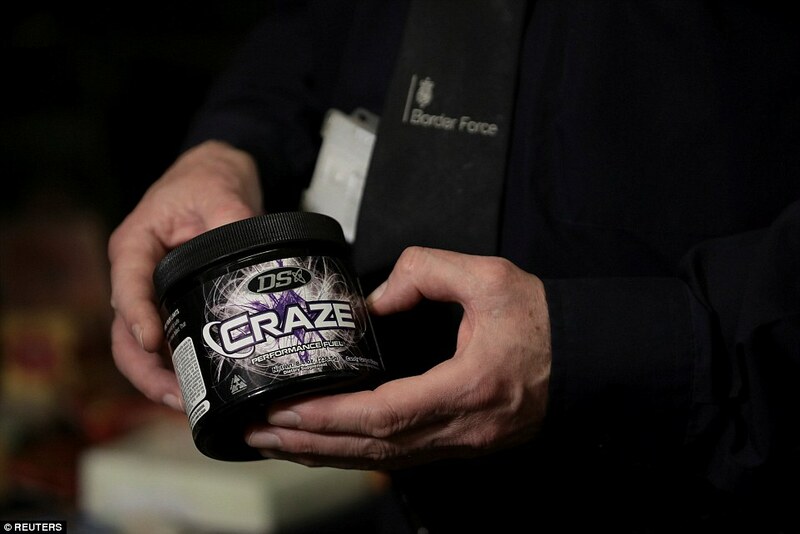 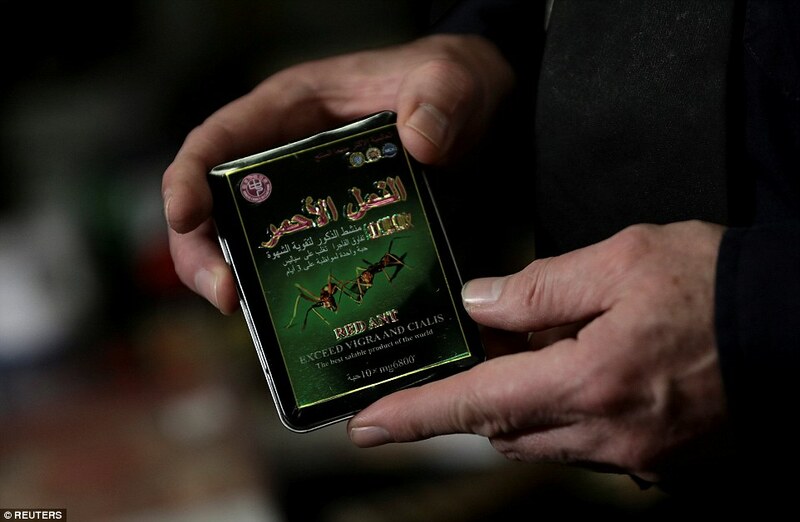 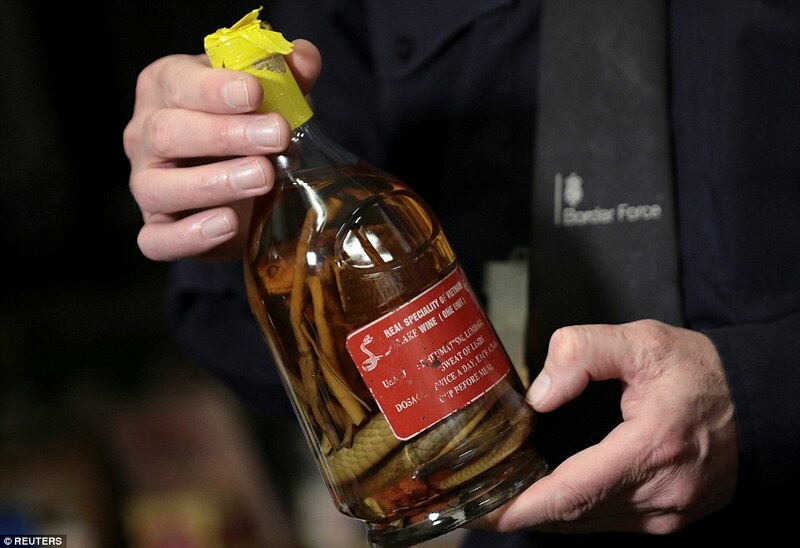 Seized items include medicinal products containing Asiatic bears' stomach bile and tiger bone and a threatened species of South African cactus. 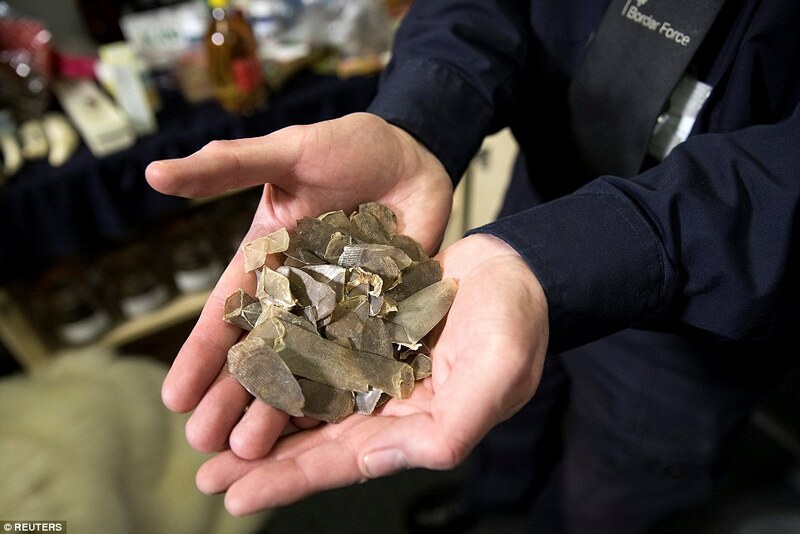 The amount of medicinal products containing illegal wildlife tissue seized by EU authorities has risen sharply in the last six years, according to monitoring group Traffic. 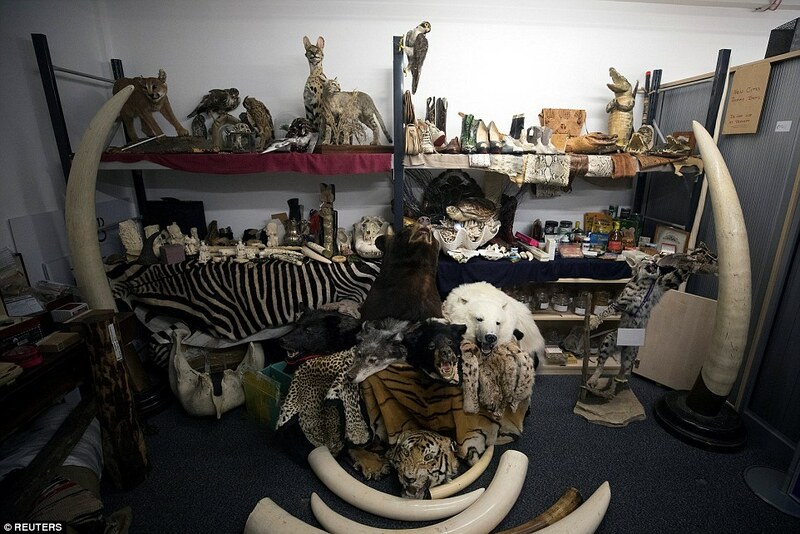 EU authorities made 952 seizures of illegal wildlife medicines in 2016, up from 174 in 2011, an analysis by Reuters of reports by the group showed. 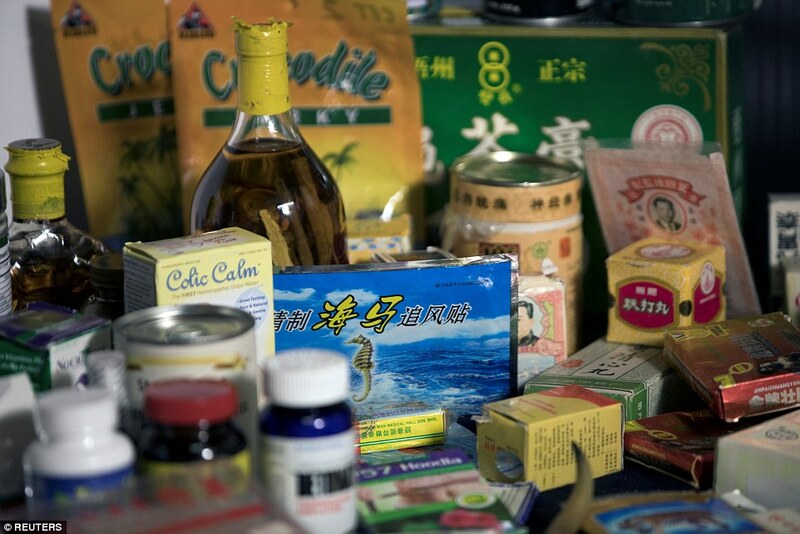 Many of the medicines originate in Africa, and a significant portion are destined for markets in Asia. 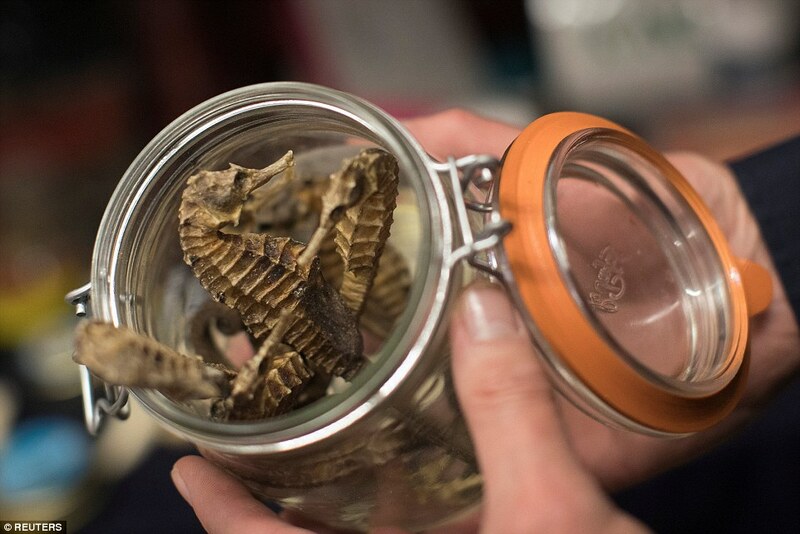 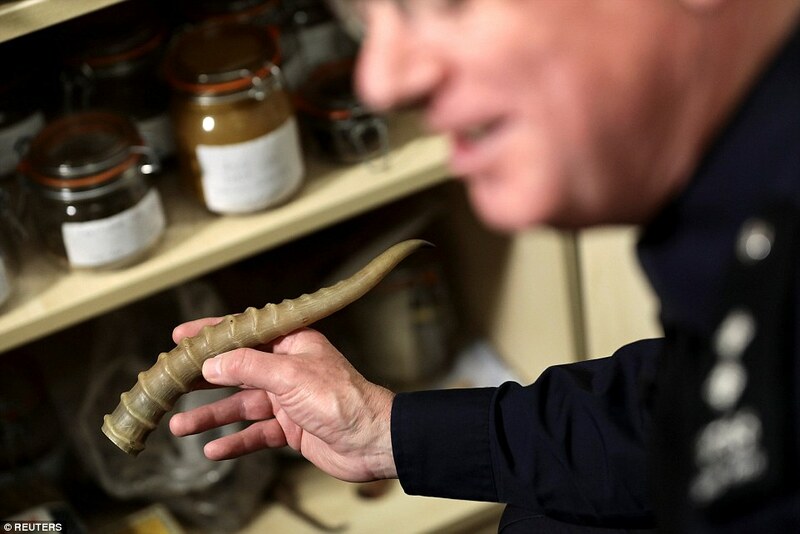 The medicines, which also include Red Ant, a popular remedy from China that contains seahorse as a key ingredient, purport to treat everything from erectile dysfunction to cancer. 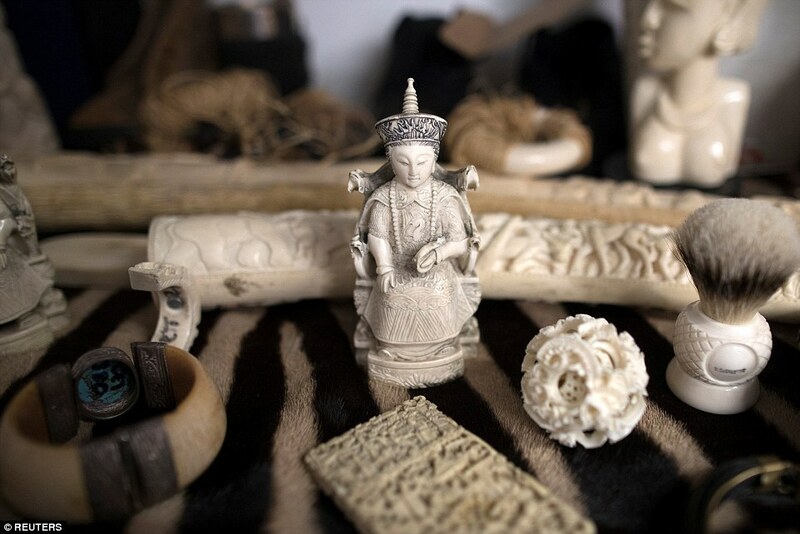 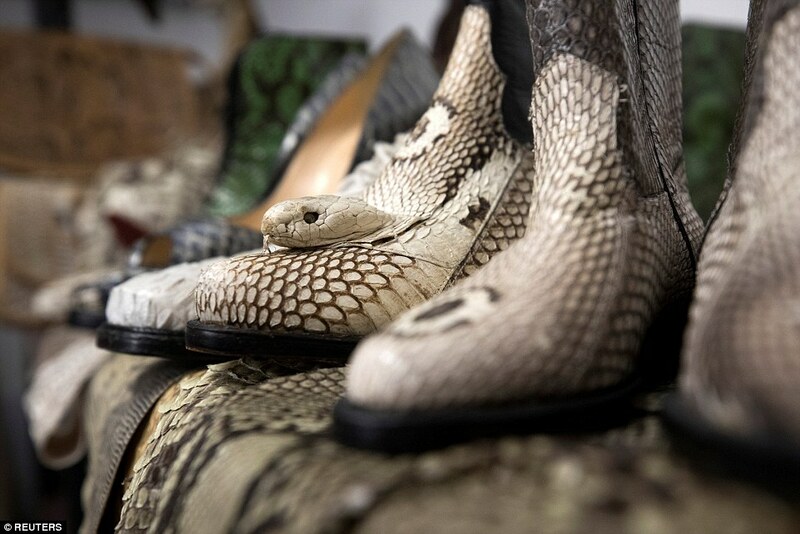 The United Nations estimates the global market for illegal wildlife medicines is valued at $3.4 billion. 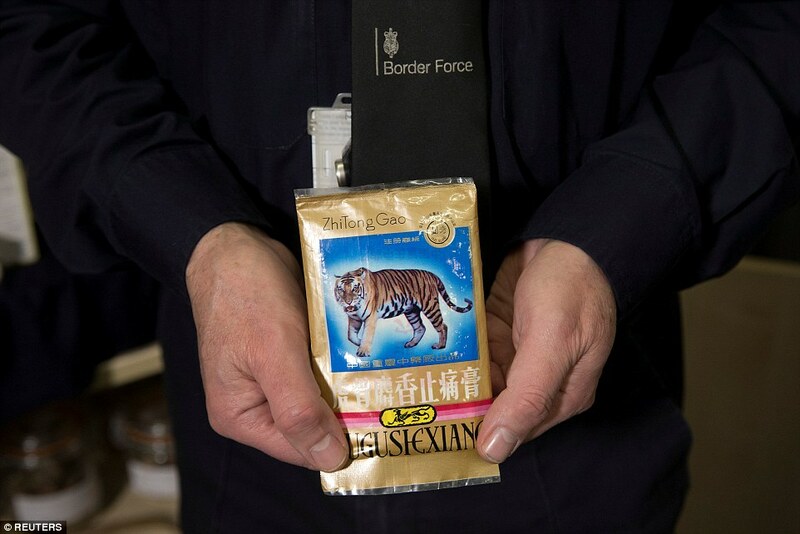 MailOnline Travel goes inside Heathrow's evidence room.